A magazine so different, really… Because of its penetrating and pertinent features written by well recognized editors and enhanced by a superb layout quality. The world’s most important championships are covered live at the venues when some competitors remain glued to an internet screen. Instead Golfers&Co is always on the move. Our stories are fresh and original for the pleasure of a faithful and high end readership. 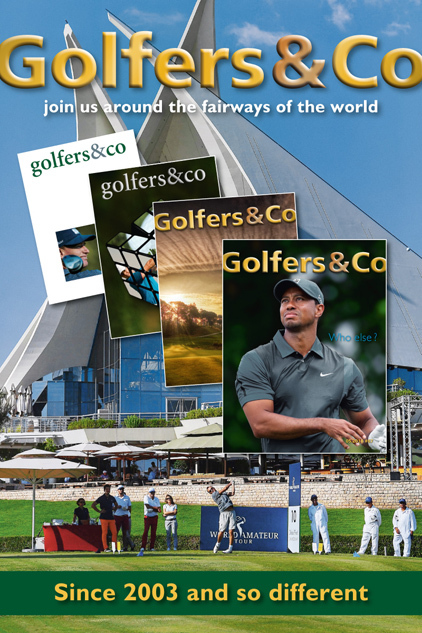 With only the top golf clubs being delivered with a well balanced number of copies, the individual dispatching of the magazine is carefully monitored in Switzerland and abroad, directed to well-targeted contacts, perfectly matched to the quality status of the brands appearing in Golfers&Co. The advertising rate card is well thought to support the best products from the golf industry or the leading watchmakers among other renowned brands of the hotel sector or the automotive business. To enhance their efficiency, no ads appear in the middle of a story and their volume never exceeds 25% of the magazine’s content.